When I realised I wanted to write an article about the show, I didn’t know what angle to take. I started by asking several people if they had, a) heard of the show, or b) watched the show. Most people said they had heard of the show but never watched it. 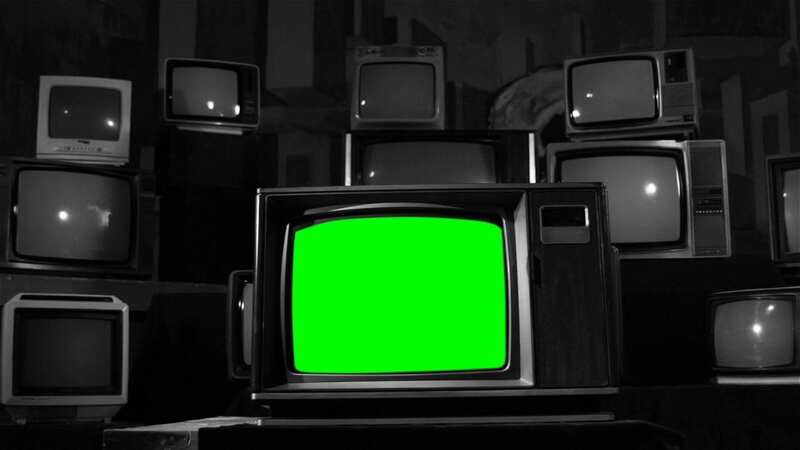 An alarming number said that had never heard of it, and only one said that they had watched it. My goal then very quickly became to write an article to convince the unaware that this is an investment worth making! Firstly, I have to admit that until around 2015, I had no knowledge of the show, Haven. 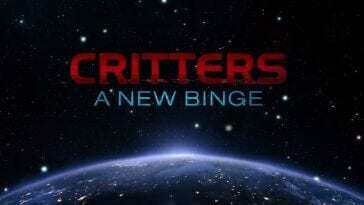 I had never watched it or even heard of it, yet the show ran on SYFY for five seasons between 2010 and 2015. I only found it whilst surfing through the endless sea of mostly unheard-of trash that litters Amazon Prime video. I clicked the arrows of the remote furiously, skipping through the thumbnails until one popped up that stopped me. That thumbnail was for Haven. My next admission is that I only stopped clicking because of one line written on the image. That line, ‘Based on The Colorado Kid, by Stephen King’, was enough for me. I’ll confess straight off the bat that I am a huge King fan. I have an extensive collection of King books that take up most of the space in my bookcases, mainly owing to the fact that I have several copies of the same works. That, however, is a story for another time. I will point out though, that I am looking at this show objectively and not as a fan boy! I had heard of The Colorado Kid, but had never read it. Around that time, I had finished watching all the available episodes of another King adaption, Under the Dome, which is also on Amazon Prime. I had loved that show and figured another King show would fill the void left by the last one, so I pressed OK and added it to my list. I very rarely find something and start watching immediately. Instead, I have to go online and find myself a trailer or two first. The trailer very quickly set the tone of the show for me, opening up with establishing shots of a small seaside town, presumably somewhere in America. Shots of community events, people enjoying themselves, and narration from the town reverend. The reverend opens by saying to his congregation that they all know Haven is a nice place to live and bring up a family. It makes you feel that this is a small community where everybody knows everybody. Quaint and friendly. Nothing bad happens here, and everybody helps each other out. As with most King stories though, these illusions do not last and it isn’t long before the reverend is yelling to his people that the town is full of ‘the ungodly’. This is where our protagonist comes in, Audrey Parker, FBI. It wastes no time setting up the mystery behind her, and you immediately know she is not one of them. She is an outsider but with history there. An old newspaper clipping shows a photograph of a woman who looks mysteriously like her, only that picture was taken more than 20 years before. Who is Audrey? Who is the woman in the photograph? The trailer does its job, filling the viewers head with questions. It then goes on to please King fans by bringing in that supernatural element; freak hail, ominous thick fog, shadows that kill people and huge cracks in the ground appearing out of nowhere. All of this was enough to take me straight back to Amazon and get comfy on the couch. So where did the show come from? Well, we know it is based on a Stephen King story at least. 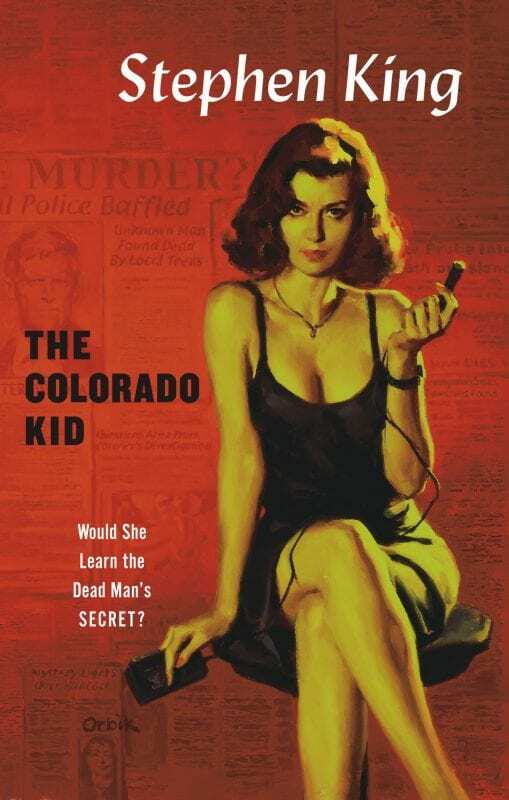 That story, The Colorado Kid, was published as part of a noir crime thriller series back in 2005. 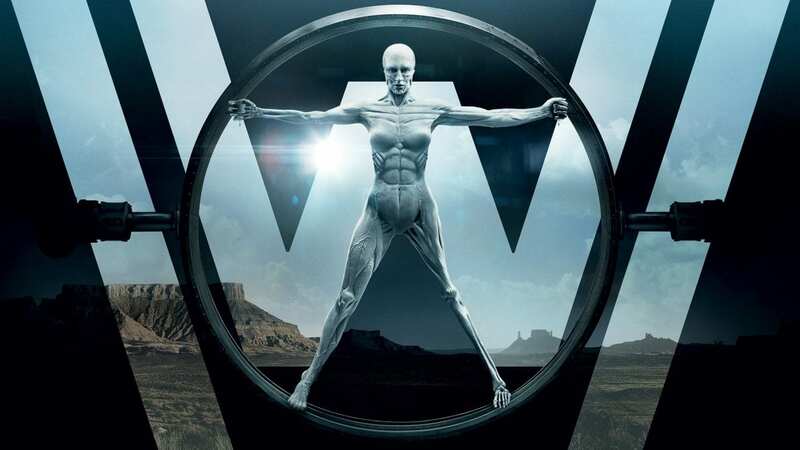 Adam Fratto, Exec producer of the show, got hold of a copy and passed it to a screenwriter by the name of Sam Ernst who immediately read the book and came to the conclusion that it was a great story, but it wouldn’t make a good show. A conclusion also made by another writer, Jim Dunn, whom Sam had also passed the book to. Sam and Jim got together to try and come up with ideas and thus, Haven was eventually born. 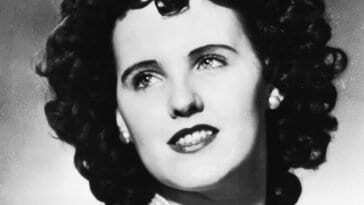 Their idea took root from the core of the original story; Audrey Parker, an outsider who goes to Haven and ends up investigating the case of the Colorado Kid. Except in the book, Audrey is a news reporter and ends up in the care of Vince and Dave, the writers of the local newspaper, whereas in the show, Audrey is an FBI agent, sent to the town to chase a fugitive. Vince and Dave however, the brothers who run the ‘Haven Herald,’ still play a pivotal role in the series, and in fact, are two of its star characters. The idea then takes a very interesting turn in that it pulls on much more of King’s work, the creators being huge fans themselves and also being previously involved in the show The Dead Zone, based on the Stephen King novel of the same name, which ran six seasons for the USA network between 2002 and 2007. Although the show does not use characters from King’s other work outside the Colorado Kid, many of the towns inhabitants are inspired by those characters, and they feel right at home in a small town in Maine. Once the idea was solid enough, the creators sent it off the King, receiving in return his blessing, with King himself saying that it sounds like a blast! So lets meet these weird and wonderful characters shall we? First up, we have our leading lady, Audrey Parker. Parker is sent by her superior in the Bureau to Haven, chasing a fugitive. Upon first watching, it was not obvious to me that her boss was part of some greater plot to get Audrey to the mysterious town. But on second watching, all the pieces start to fall in to place and you soon realise that Audrey was meant to go there all along. Audrey is played Emily Rose, or as the gamers among you will most famously recognise her, the other half of Nathan Drake in the multi award winning Uncharted series of video games. In the games, Rose played Elena Fisher, the freelance journalist who ends up being stringed along on Drakes treasure-seeking adventures. As Audrey’s investigation begins in the town of Haven, it isn’t long before we realise she has a deep connection with the town, and although she has no idea, it becomes clear that everyone around her does! Next up, Nathan Wuornos. Nathan Wuornos, Haven PD, is the son of the town’s police chief. 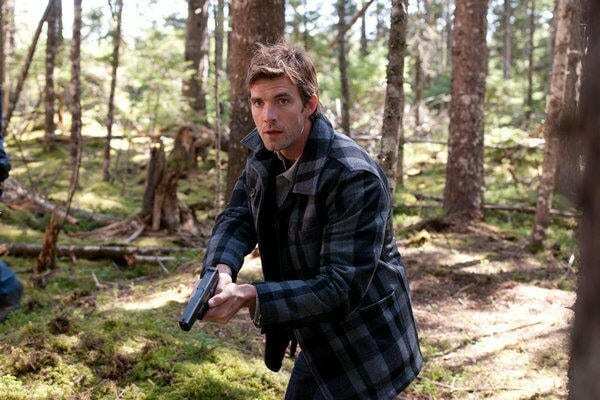 Played to perfection by Lucas Bryant, Nathan is the handsome and fearless police officer who everyone in town likes and respects, and did I not mention, he cant feel pain? Audrey and Nathan meet very early on, before Audrey even has chance to get in to town. She is involved in a car accident caused by a sudden crack opening up in the road right in front of her. Luckily, Nate is on hand to help her out. Nate explains that he suffers from Idiopathic Neuropathy, which is the technical term for him not being Able to feel pain. Unfortunately for him however, it isn’t just pain he cant feel, its touch too. Except, in a town like this, there is always an exception…he can feel Audrey’s touch. Coincidence that she has some dark secret past lurking in this town? I think not! 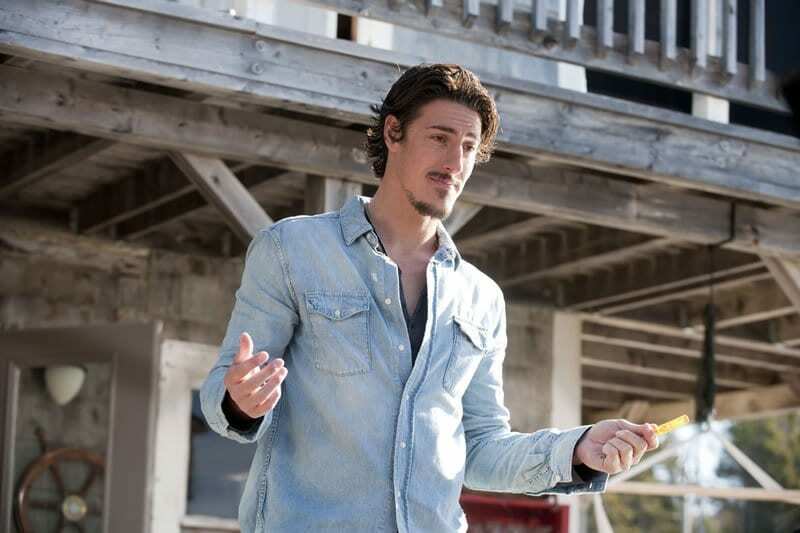 Third, we have Duke Crocker. Duke is a bit of mystery early in the series, we don’t quite know who he is or what his motives are. We only know that he likes to operate in a less than legal manner, he lives alone on an old fishing boat, and he and Nathan don’t get along. As Series 1 goes on, he becomes more of a prominent character and although he comes across as very much the macho douche bag, we grow to like him towards the end. The town is full of other colourful characters, Chief Wuornos, Nathan’s father played by Nicholas Campbell, Dave and Vince and the town Reverend just to name a few. The only dud characters that appear (and there aren’t that many) come from the shows ‘Monster of the week’ format, but this should not put you off. The central cast are solid gold and you will find it a joy to follow them on their journey, I’m sure of it! 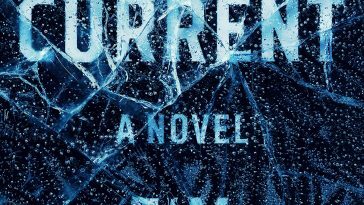 The town of Haven, Maine, is an Idyllic small seaside town where life looks happy and perfect all the time, but if you dig deeper in to it, you realise that beneath all that, the town is rotten. Everybody has a secret, everybody has a past, strange tattoo’s that could symbolise a cult that has been around for generations unbeknownst to most of the townsfolk, or so you think. Occurrences of the supernatural, its all going on in Haven. 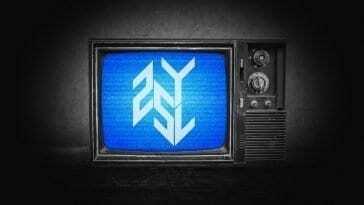 Why should you watch then I hear you ask? Well, just look at the reasons above. Brilliant characters, secrets aplenty, shadows that kill people, and, of course, Steven King. If you are a King fan, you will no doubt love this show; it has everything a fan needs. If you are an X-Files fan, it has the monsters and the deep mythology interwoven into everything you see. Even Twin Peaks fans can feel at home in this small town. Audrey Parker describes it perfectly in saying ‘There are two different Haven’s, the one that’s right beneath the surface, and the one right underneath that’. As an outsider, you soon see that this is far from a normal town, and even the darkness and mystery that you eventually realise lurks around every corner is just a taste of what this place still has up its sleeve.